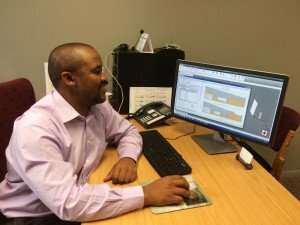 I have over 15 years of experience in water resources engineering and I am the Engineering Team Lead at Stantec. I am responsible for quality assurance of engineering deliverables for our clients. 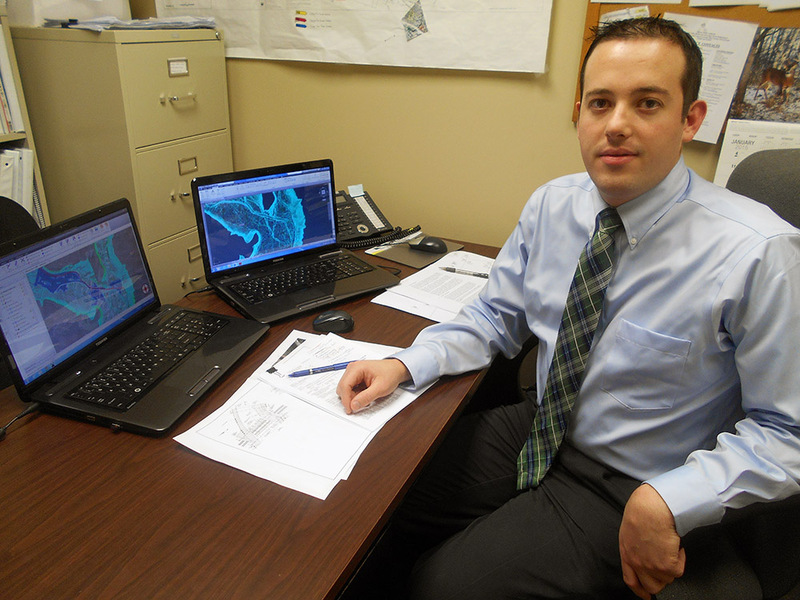 I have extensive experience in working on FEMA floodplain mapping studies for nearly every FEMA Region in the US, including performing hydrologic and hydraulic engineering analyses, carrying out technical QA/QC, and training engineering and GIS staff. We have found that GeoHECRAS greatly improves our efficiency in completing HEC‑RAS model studies. 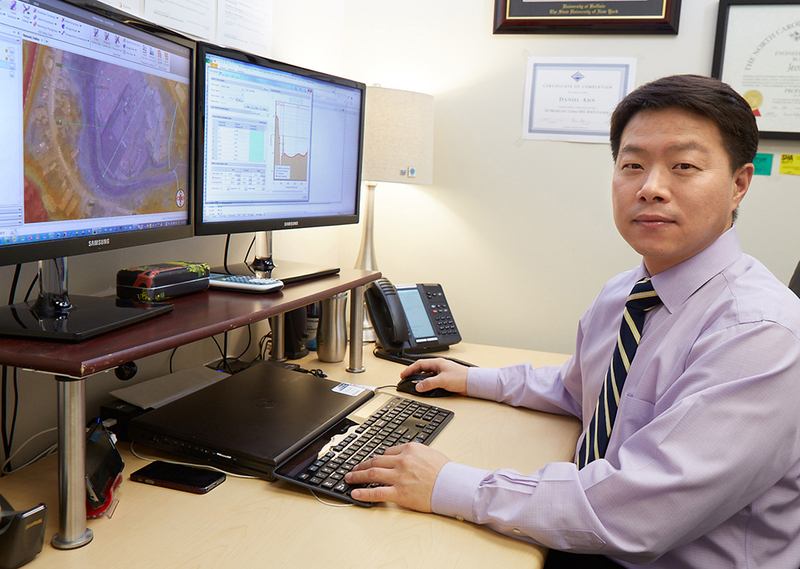 In my position as supervisor of our engineering team, I can see the challenges first hand that our staff has had in efficiently creating accurate flood studies using traditional tools with HEC‑RAS. With our fixed budget on flood projects, we needed to improve our efficiency in completing these projects and GeoHECRAS has helped a lot in that regard. The post-processing that is built into GeoHECRAS has greatly improved the speed in which we can process the output from HEC‑RAS. 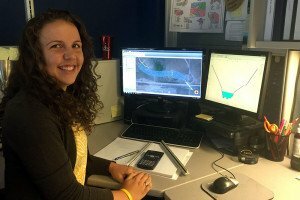 The semi-automated method in computing the FEMA floodway has really reduced the time required to complete a floodway analysis. We estimate that we save at least half the previous time required in performing post-processing, especially in doing floodway analyses. The graphical editing environment that GeoHECRAS provides makes it very easy and enjoyable to quickly define and make changes to a HEC‑RAS model. For example, updating the cross section geometry is really nice because you can graphically edit the cross section in conjunction with the terrain data. Most engineers I know tend to not like change. However, if they do HEC‑RAS modeling, I would strongly recommend that they look into using GeoHECRAS for speeding up their engineering workflow. I think that they will be really surprised at how much an improvement in efficiency and accuracy that this software provides. I have been a civil engineer with Pioneer Technical Services for three years. Pioneer is a full-service engineering and environmental services firm located in Butte, MT with branch offices located throughout the northwest United States. 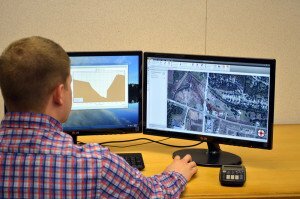 Iterating an analysis using the Army Corps of Engineers HEC‑RAS model can be a real time waster. You have to go back into AutoCAD, extract cross section geometry data, and then get that data back into HEC‑RAS. That iterative process of changing things in both CAD and HEC‑RAS, and getting everything to line-up, takes a lot of time and patience. We have found that GeoHECRAS eliminates all of this wasted time. You work right on your AutoCAD drawing and can easily define cross sections and bridge structures, run HEC‑RAS, and right away see the results. For example, you can easily move cross sections or add additional cross sections in order to get a better definition of the flooding. GeoHECRAS will update all of the corresponding data like bank stations and flow lengths—handling all of the details. You can see the model changes immediately on the screen. Then, just run the HEC‑RAS analysis inside GeoHECRAS and immediately see the updated flood results. There is no need to go to a different program—everything is inside GeoHECRAS. 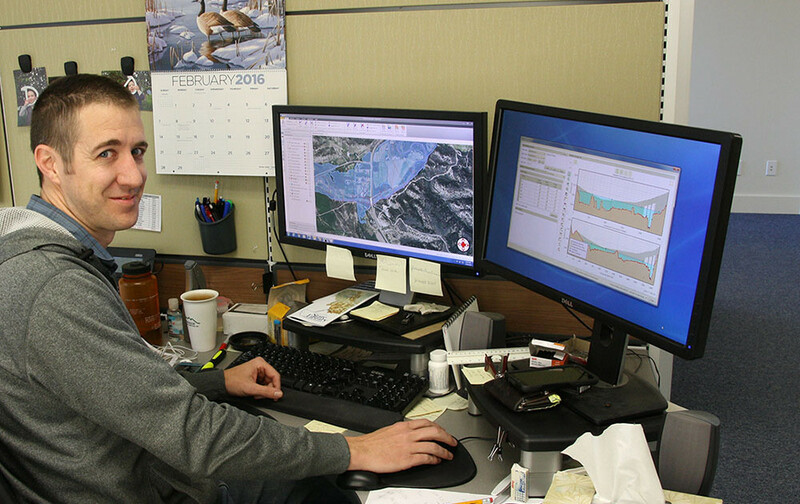 With GeoHECRAS we estimate we have cut our engineering time in half in getting HEC‑RAS models completed over using the Army Corps of Engineers HEC‑RAS software. I would definitely recommend using GeoHECRAS for performing HEC‑RAS flood studies. I work with Goodwyn, Mills & Cawood as an engineering intern. I am currently working towards my PE license. I received my civil engineering degree from Auburn University. Before using GeoHECRAS we used the Army Corps HEC‑RAS for our flood studies. We seemed to run into a lot of issues inputting data to setup our HEC‑RAS model. It is a very tedious process and not very user-friendly. In addition, the visual output from HEC‑RAS is not that great, so we could not exactly see what was happening with the project. We would make changes to the model, and have a difficult time spotting what these changes did to our project. And, updating our AutoCAD drawings with the HEC‑RAS model results was extremely difficult. With GeoHECRAS, everything is integrated into one user interface. You can bring in your AutoCAD drawing and georeference it directly to Google Maps and see where everything is. If you make a change in your HEC‑RAS model, you immediately see the change in the flood results directly in your AutoCAD drawing. GeoHECRAS allows us to save a lot of time, being much more productive in doing our projects. For example, when we were working with just the Army Corps HEC‑RAS and AutoCAD, we would have to draw the cross sections in AutoCAD and then measure the horizontal stationing and elevations and manually enter that data into HEC‑RAS. In GeoHECRAS, we just draw a cross section line and it automatically constructs the cross section along with the bank stations and flow lengths already defined. Then, figuring out the flood map in AutoCAD from the Army Corps HEC‑RAS results took even more work. So, instead of spending 8 hours constructing a flood map, with GeoHECRAS we just click a button and we have the flood map ready to go. I would recommend GeoHECRAS to anyone doing hydraulic modeling. It is a really powerful tool that will save you a lot of time so you can get a lot more profit out of your engineering projects. I have had a lot of experience working with HEC‑RAS and have recently started using GeoHECRAS. I like how GeoHECRAS combines three or more steps into a single step. For example, it will automatically cut cross sections along an alignment, extract the cross section geometry, assign the bank stations, and determine the flow lengths all by running one command. Also, I like that I only need to maintain a single file and that the software manages all of the other supporting files that are used for the project. With the Army Corps of Engineers HEC‑RAS I have to constantly keep track of the various project, plan, geometry, and flow files for each iteration of the analysis. Whereas, GeoHECRAS manages all of this data for me and allows me to easily focus on the actual engineering involved in the project. 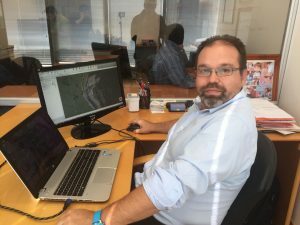 The software will combine various supporting data, like AutoCAD drawing files, terrain surfaces, survey files, orthophoto imagery, allowing me to build and view the HEC‑RAS model directly on a map view of the project site. All of this means that GeoHECRAS will save me a lot of time in my HEC‑RAS engineering projects. 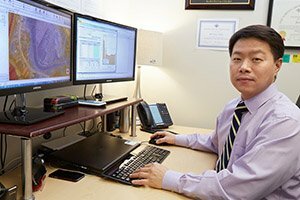 I am a staff engineer at Brooker Engineering, a multi-disciplinary civil engineering firm that provides engineering services throughout the New York Metropolitan area and New Jersey. I have been here for 3 years, and have done a lot of floodplain analysis using HEC‑RAS.The Army Corps HEC‑RAS software is not that user friendly with its multitude of windows and its file system with one project file and multiple geometry files and plan files. And, if the cross section geometry data sets are not previously prepared or if you need to make changes to the cross section geometry, it is a very laborious process to get the data into HEC‑RAS. You need to move everything into Microsoft Excel to make your edits and changes, and then move everything back into HEC‑RAS. 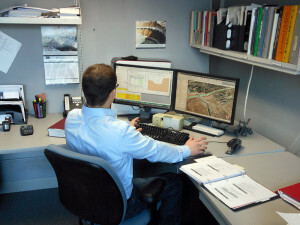 In addition, if you make one mistake in the process then you’ve lost that data set and it is “game over”—you’ll have to start over.For example, a lot of the challenges I face are with HEC‑RAS floodplain projects where we already have a set of cross sections developed, and I receive updated topography and need to update the cross sections or need to “code in” proposed conditions. Incorporating changes into geometry becomes a tedious, laborious, and time-consuming process. I have to manually measure the horizontal distances on the cross sections, and then manually input the data. All of that makes it a very long process from start to finish.Whereas with GeoHECRAS, I can do all of this work in a single mouse click. I can load my updated topography into GeoHECRAS and have the Extract Geometry command automatically update the cross sections I want to revise. It saves me hours of manual work. GeoHECRAS makes HEC‑RAS modeling a much easier and streamlined process, saving me at least 75% of my time on HEC‑RAS projects. For example, if I want to insert an additional cross section, I just draw a polyline where to place the cross section and I am done. I can move a cross section and the software will update the geometry and flow lengths. I do not have to be hesitant if I am adding or removing cross sections—the software just handles it. 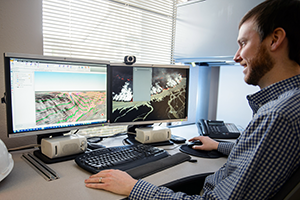 The software is very open and flexible, allowing me to look at the analysis results differently and not just from the viewpoint of “oh… that means more coding for me.” That is a huge benefit.I would definitely recommend GeoHECRAS to other engineers that do HEC‑RAS modeling studies. The biggest benefit I see in GeoHECRAS is not having to go back and forth between AutoCAD Civil 3D and HEC‑RAS. You can load your Civil 3D drawing file into GeoHECRAS and work directly on the AutoCAD drawing. Then, if you decide to change where a cross section is to be located, it is easy to make that change. Also, when you need to insert an additional cross section, it is as easy as drawing a polyline. GeoHECRAS incorporates the AutoCAD drawing file directly into the HEC‑RAS model. You can make a change to your model, and immediately see the impact of that change. With the way I did HEC‑RAS modeling before, I had to draw my cross sections in AutoCAD Civil 3D and then manipulate them in order to get them into HEC‑RAS. If I had any changes that I needed to make to the cross-sections, I would basically have to start all over again in Civil 3D, re-export the file and re-enter all other HEC‑RAS inputs. This caused me to waste a lot of time in my work. Overall, GeoHECRAS saves me a lot of time in my HEC‑RAS modeling by allowing me to work directly with my AutoCAD Civil 3D drawings. 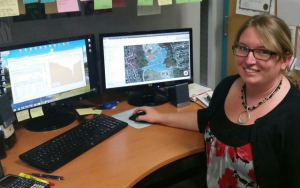 I work primarily in stormwater and floodplain management at J3 Engineering Consultants, an engineering firm that provides a full range of civil engineering, master planning, and water resource services throughout the Rocky Mountain region. I would definitely recommend GeoHECRAS to other engineers that do HEC‑RAS studies. It makes it a lot easier to show your model and results to other engineers and your client. The software is just incredibly user-friendly, easy to understand, and easy to use. I was able to jump in and start using it to create real models and work on real projects immediately. That has been the most surprising part for me. Previously with HEC‑RAS, we would have issues interfacing with all of the various files needed for a floodplain project. We use AutoCAD, ESRI ArcGIS, and HEC‑RAS, and converting data between the three different applications is very time consuming and prone to errors. Getting the data converted into the correct format and keeping track of the various data is a huge logistics problem. GeoHECRAS largely eliminates these issues, since it will interface with AutoCAD, ArcGIS, and HEC‑RAS files and manages all of the data conversion and management of files. GeoHECRAS allows us to bring in previous HEC‑RAS models and then interactively georeference them to the project site. We can then quickly edit them to include changes due to land development and infrastructure projects. The software is really intuitive and extremely user-friendly, and allows us to quickly make changes to cross sections and river alignments to account for these changes. What you see in GeoHECRAS is exactly what the model is representing since it shown directly on top of your base data, such as Google Maps and your AutoCAD drawing. There is no loss of information, you do not have to worry about tracking changes throughout the entire model—it is all handled right there for you. We commonly have to go through several iterations of grading to finalize a site development. GeoHECRAS allows us to instantly recut HEC‑RAS cross sections with the proposed changes and see what impact these changes have on the flood elevations. Updating cross sections to incorporate these changes is really easy. Using GeoHECRAS, I can create a HEC‑RAS model, along with changes and updates in half of the time from what I was doing before. It allows us to be at least twice as fast in doing our HEC‑RAS modeling work. I have found that CivilGEO’s technical support has been definitely helpful during the times that I have needed it. Any problems or difficulties I have had with my models have been able to be worked out pretty quickly on the phone with their staff. They will jump on to my computer remotely using Team Viewer and assist me with my models. The graphical ability to cut cross sections from contours and manipulate the information is one of GeoHECRAS’ strong points. The software makes our HEC‑RAS bridge replacement modeling work much easier and more efficient. Up until recently we were using the standard Army Corps of Engineers HEC‑RAS to do our bridge modeling work. Cutting additional cross sections was difficult to do, since we would have to draw a line string in MicroStation in order to retrieve the point data. Then, we needed to extract the station-elevation data, and then copy and paste the data into HEC‑RAS. All of this extra work resulted in not many cross sections created in our models. Whereas with GeoHECRAS, you can simply just draw a line anywhere on your model and the software will extract the cross section information, assign the bank stations, and update the flow lengths—all in one step. We can easily add additional cross sections wherever they are needed. Quite simply, instead of creating just a handful of cross sections with a lot of work, GeoHECRAS allows us to add as many cross sections as necessary with little effort—making our HEC‑RAS model studies more accurate. I was positively surprised when I first used GeoHECRAS. GeoHECRAS makes it easy to use and work on HEC‑RAS models. The user interface with its ribbon menu and context tooltips is essentially self-explaining. It does not require much learning to become productive with the GeoHECRAS software. The technical support has been very good. If you run into any issue, the technical support engineers will call you back and email you and make certain that you are back up and running in a short period of time. I never met a company that takes their customer service so seriously and are so supportive. Even though I am located in Europe and CivilGEO is located in the USA, they still make technical support easy for me. GeoHECRAS allows us to do our HEC‑RAS projects in much less than half the time than before. For example, I did one project using both HEC‑RAS and AutoCAD Civil 3D and it took me between 25 to 30 hours to make a complete setup. And, using GeoHECRAS it took me 4 hours. The speed in setting up and completing projects with GeoHECRAS is great. 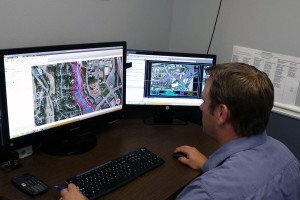 I have been working in site development, including residential, commercial, and industrial site development for over 16 years and have been working in dam rehabilitation and design for over 10 years. I use HEC‑RAS for site development flood studies and dam failure inundation studies. 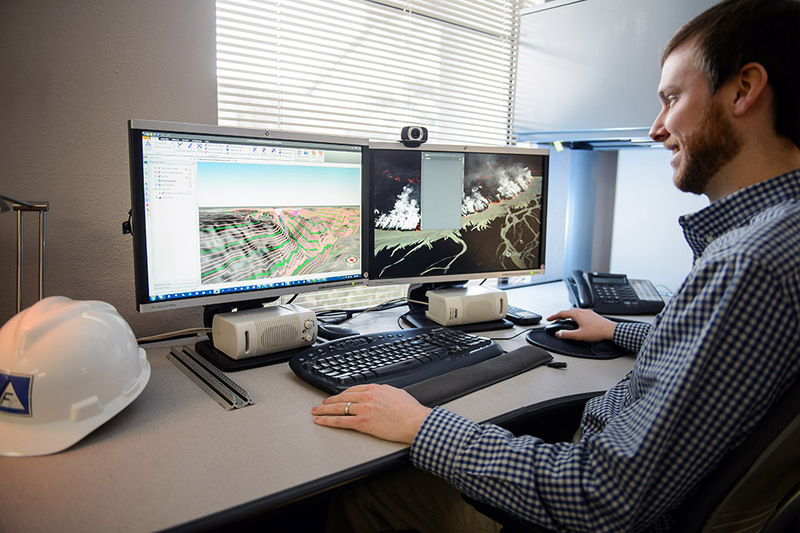 We previously used the Army Corps of Engineers HEC‑RAS software, and setting up the model and constructing the cross sections occupied a lot of our engineering time. 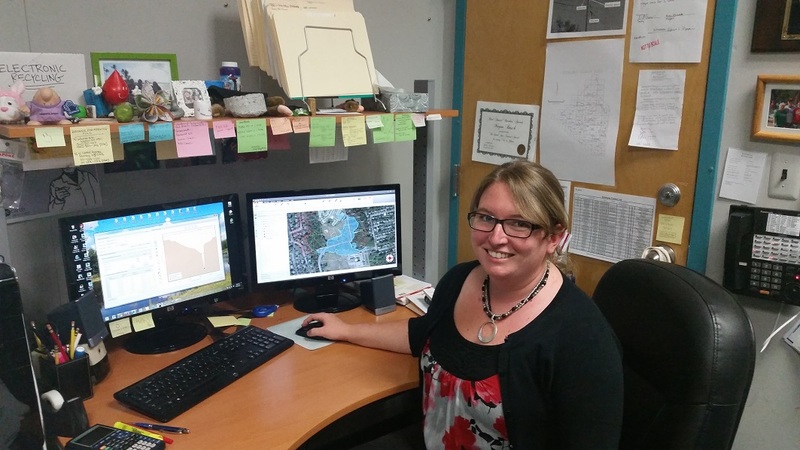 However, GeoHECRAS really saves time by allowing us to bring-in various mapping data, such as AutoCAD drawings, GIS data, FEMA flood maps, and background base maps, and then immediately start cutting cross sections for our HEC‑RAS project. For me, I find the software really easy to maneuver around and define bridges and dams because everything is shown directly on the screen in real world coordinates. You simply draw the bridge or dam structure right on the screen where you want to place it. This saves me a lot of time. One feature that I really like is how fast GeoHECRAS will create flood inundation maps. We used to have to manually trace on contour maps where we thought the flood extents would occur—which required a lot of trial and error as you have to manually estimate and interpolate where the water surface would go between HEC‑RAS cross sections. 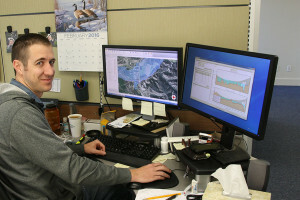 But GeoHECRAS generates accurate flood inundation maps by intersecting the ground terrain surface with the computed HEC‑RAS water surface in just seconds. And, if we have to make a change to our HEC‑RAS model, the flood inundation map is quickly updated with the model changes. 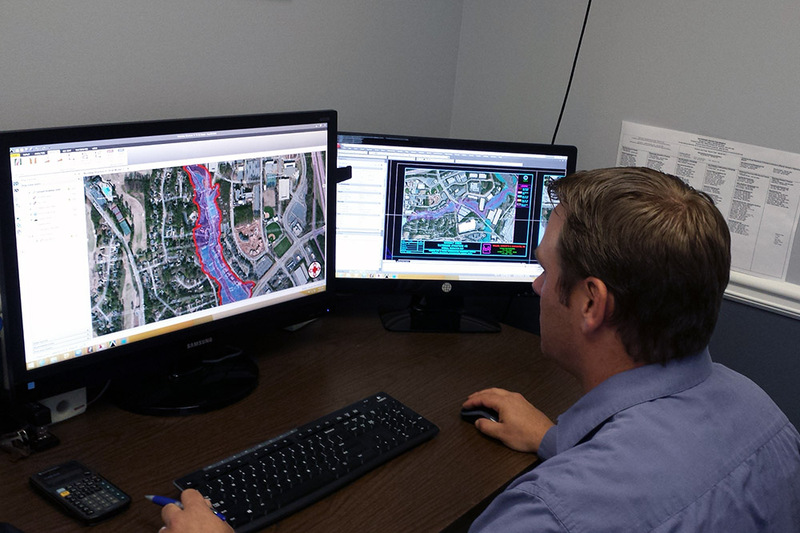 We find that GeoHECRAS saves us at least 40% of our engineering time over using the Army Corps of Engineers HEC‑RAS software. The few times when I have needed technical support, I have found CivilGEO’s technical support responsive—they look at your engineering model right away and provide suggestions to fix issues that I have run into with our models. I would strongly recommend this software to other engineers that have to do HEC‑RAS projects. 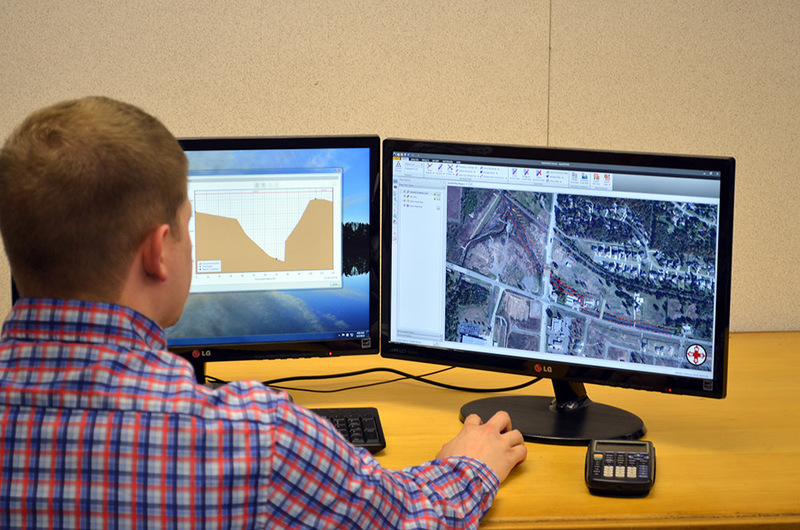 What impresses me are the capabilities included with the GeoHECRAS software. For example, GeoHECRAS contains online mapping that allows us to immediately see our study site using Microsoft Bing and Google Maps. And, GeoHECRAS provides sophisticated GIS functionality that allows us to incorporate other GIS data directly into the HEC‑RAS model. We do not have to use other GIS software, such as ESRI’s ArcGIS, to preprocess data for HEC‑RAS. GeoHECRAS contains many of the GIS functionalities that we need to get up and running with a HEC‑RAS model. This saves us a lot of time since we do not have to struggle taking data back and forth between ArcGIS and HEC‑RAS. With GeoHECRAS, everything is inside one software program; you can do all of your work in one software program. Also, I am really impressed at how fast the floodplain mapping can be performed. It is significantly faster and easier to use than other software I have used. Finally, the technical support that is provided by CivilGEO is very much superior to what I have experienced with other vendors. They follow up call to make certain that our staff are able to utilize the software to its fullest extent. 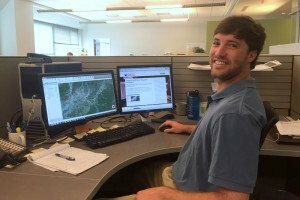 For example, their support engineers helped us by cleaning up some raw GIS data that we were provided by our survey consultants. This saved our staff a significant amount of work. To me, that is a kind of relationship that you would want to develop with a client. GeoHECRAS provides a lot of additional functionality, over and above just HEC‑RAS modeling. In fact, I find that I use the software quite a lot for watershed delineation mapping on drainage projects that we have. The ability to import topo and aerial maps is very useful. The software is extremely user friendly, and much better than the old “Windows style” HEC‑RAS software. The ability to pull all my data into a single user interface and start to develop my project is a huge time saver. I can pull in the quad map and the FEMA flood map with GeoHECRAS’ built-in functionality by simply selecting the appropriate maps. Up until now we had to go to different sources and try to aggregate this information into our project. GeoHECRAS does this function with just a couple of mouse clicks. Clearly, GeoHECRAS makes my HEC‑RAS work easier and more efficient. Our company, Aqua Ingenieria (Puerto Montt, Chile) is dedicated mainly to the development of projects in the Hydraulic and Sanitary area, such as: Hydrological studies, hydraulic work, river modelling, outdoor and indoor potabilization water projects, along with the design of sewage systems. We work mainly with real estate, architectural companies, aquaculture industry and within the private sector in general.We found HEC‑RAS software very unfriendly and rigid, does not allow to erase any mistakes, and everything is done based on tables, which makes the system tedious and slow, and when you have a river of a big length much of the time is spent building up the model. On a frequent basis, I design water intakes for the aquaculture industry, and the National Water Authority requests these type of projects need to be designed in such a way the new civil work is guaranteed to be free of any risk of floods within the vicinity, so I have to build together a model of the river showing off the situation before the project and also with the water intakes. Before, this process could take me a whole day, but now with GeoHECRAS software I can do it in a couple of hours – some 50% to 60% less time I believe.What I like most is that the core point relies on the fact that everything is done based on a drawing interface, without having to manually enter data. I’d recommend GeoHECRAS to anybody as its friendly interface is very easy to learn and has everything that one as an engineer needs to be able to perform within river modelling. Last but not least, I’ve had no problem with the technical support, they are always in contact to see how the projects are doing and asking if I need more help. GeoHECRAS is very intuitive to use. The user interface is really easy and simple to master. I like the simplicity of being able to go from start to finish with my HEC‑RAS modeling. For example, the automated cross section cutting is a real time saver. And, the ability to bring everything into a state plane coordinate system is extremely helpful. I am able to load AutoCAD drawing files directly into the software and construct HEC‑RAS models. The software saves me a lot of time with my HEC‑RAS modeling. I previously used the RiverCAD software for my HEC‑RAS modeling, and GeoHECRAS is hands-down a much better software program. It is more user friendly, and has many more advanced features that saves me time in doing my HEC‑RAS projects compared to the most advanced RiverCAD software that I previously used. I am very happy with the GeoHECRAS software. With GeoHECRAS, these changes in the geometry are very fast and we feel more secure when checking out the results. I work in the Basque Water Agency (URA – Agencia Vasca del Agua, Vitoria-Gasteiz – Spain) as a flood prevention technician. 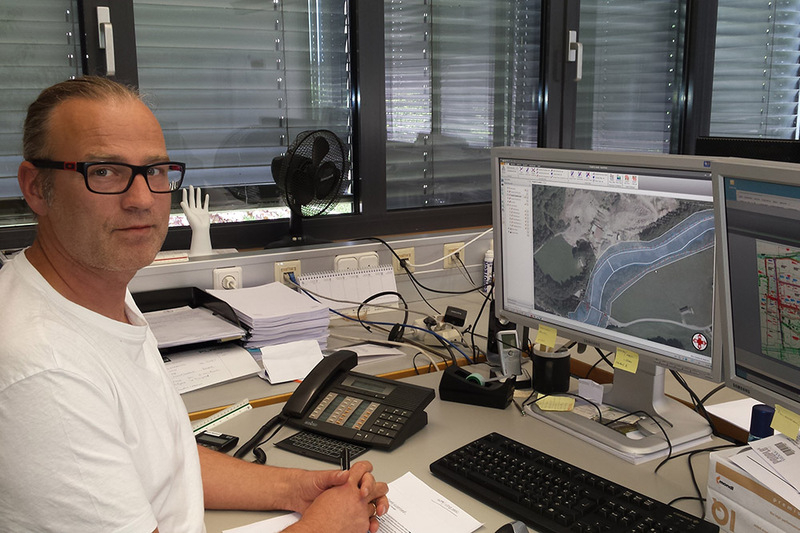 My work includes several fields, mainly report filing regarding authorizations in flood-risk areas, coordinating risk management plans and carrying out new studies on floodplains.Before GeoHECRAS, some of the calculations we performed with HEC‑RAS models were relatively laborious, as we often must calculate the hydraulic effect of occupying a floodable terrain. Sometimes this involves modifying the geometry of a cross section. Some other times, we face the need of make changes in the mapping. With GeoHECRAS, these changes in the geometry are very fast and we feel more secure when checking out the results. It is difficult to calculate the time we save with GeoHECRAS, which also depends a lot on the type of task. However, I would say that the average working time has been reduced by 30%. The GeoHECRAS functions that we use most are the editing and creation of geometry and the generation of flooded surfaces (Flood Map).I’d recommend using GeoHECRAS to anyone. Also, must say that CivilGEO’s technical support has always been effective when we have faced a problem. It would be very useful if the tool “Flood Map” could allow to directly elaborate draft rasters and speed of the current.